Andover, Mass. 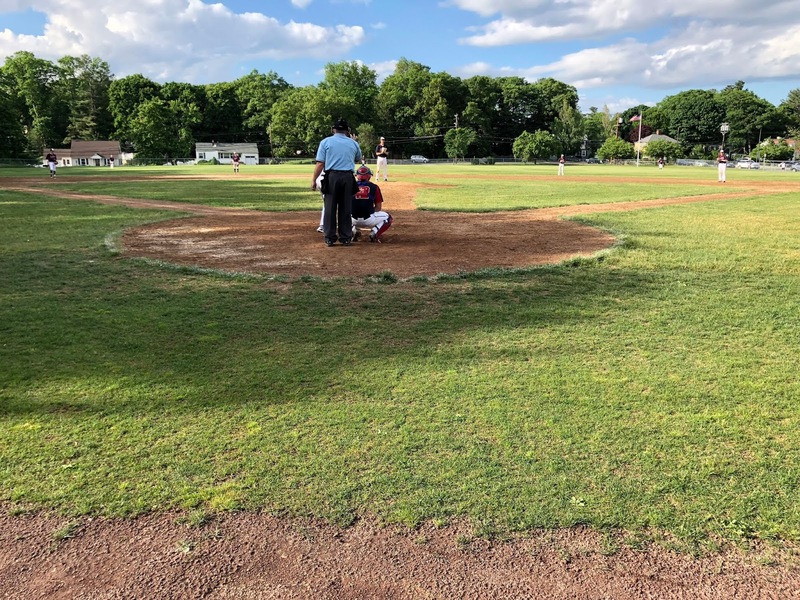 – Steve Hajjar has Central Catholic once again on top of the Merrimack Valley Conference. 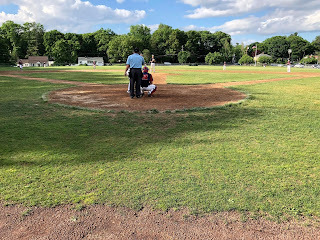 On Saturday afternoon, Hajjar fired a complete game shutout, scattering just a pair of hits while walking no one and striking out 12 as Central Catholic defeated Andover, 4-0, to claim the Merrimack Valley Conference Large championship at Andover High School. It is the fourth straight season the Raiders (15-5) have claimed the MVC large title and in all four years, Hajjar has been the winning pitcher. With a handful of Major League Baseball scouts looking on, Hajjar impressed from the opening pitch. Despite not quite having his usual fastball velocity, the 2018 Massachusetts Gatorade Player of the Year still sat between 89-91 miles per hour for most of his outing. He also spun in a curveball and slider while also showcasing the occasional changeup. Andover starter Cedric Gillette matched Hajjar pitch-for-pitch through the first three innings surrendering just a pair of singles. In the top of the fourth though, the Raiders offense broke through. Hajjar singled with one out, and two batters later Mike Pierro lined a base hit of his own. With two on and two out, Patrick Casserly hit a bouncing ball to shortstop that seemed to be the third out of the inning. The ball, however, took a tough hop and caromed into left field bringing home Hajjar to make it 1-0 Raiders. Noah Lucier followed with an RBI single to right to make it 2-0 Central after four. The tall Central Catholic left-hander, meanwhile, continued to deal allowing just a lone single through the first five innings. Andover hit just two balls out of the infield through the first five frames. “When (Steve) has everything working and you’re both on the same page it becomes a fun game to play,” said the Vanderbilt bound Keegan. Central Catholic put the game out of reach in the top of the seventh. Jake Delaney singled, and after a wild pitch Hajjar was intentionally walked with two men down. Mike Borrelli then dealt the final blow, dropping a two-run single into right field that gave the Raiders a comfortable 4-0 lead. Hajjr fired a 1-2-3 bottom of the seventh capped off with consecutive whiffs to reach the dozen strikeout mark.